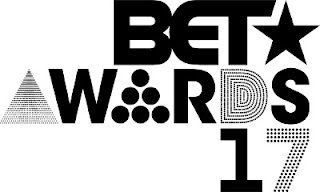 New mum Beyonce was the big winner at the BET (Black Entertainment Television) Awards on Sunday (June 25). The singer, who was up for seven awards, picked up top prizes including Best Female R&B/Pop Artist and the Viewers' Choice Award, while the promo for her hit Sorry tied for Video Of The Year with Bruno Mars' 24K Magic. The Crazy in Love hitmaker did not attend the ceremony and asked her proteges, Chloe x Halle, to accept the honors on her behalf. The R&B duo read a statement from the star, in which she thanked her family and fans for their support and expressed what her hit album Lemonade has come to symbolise. "This has been a journey of love, of celebrating our culture, honouring the past, and approaching the present and future with hope and resolve,” the statement read. Hosted by comedienne Leslie Jones, the annual ceremony took place at the Microsoft Theater in Los Angeles and celebrated some of the biggest names in music, television and film. The night was filled with showstopping performances from top acts like Bruno, who opened the show with his track Perm, while rappers Migos took the stage for a remix of their hit Bad and Boujee, and Khalid got the crowd going with his dance track Location. Trey Songz brought the house down with his ballad Nobody Else but You. Mary J. Blige and A$AP Rocky teamed up for a powerful medley of Set Me Free and Love Yourself, which proved to be among the evening’s highlights. Bruno nabbed the Best Male R&B/Pop artist honour, his first ever BET award, and Chance the Rapper was handed two significant trophies for Best New Artist and the Humanitarian Award, which was presented to him by America's former First Lady Michelle Obama, via a pre-taped video. There was also a win for Beyonce's little sister Solange Knowles, who received the night’s Centric Award for her hit Cranes in the Sky. The singer, who celebrated her 31st birthday on Saturday said the award made for “the best birthday ever”.